The National Park Service and other agencies are offering a reward for info on suspects in a serious case of vandalism at Devil’s Hole in Ash Meadows National Wildlife Refuge on April 30. If any recent visitors to Death Valley (or any locals) saw anything that could help in the investigation, or recall a vehicle or suspects resembling those seen on surveillance video, any little bit of info might be useful. This has been posted on TripAdvisor on the Beatty, Amargosa Valley, Pahrump, and Death Valley forums in case someone in a nearby town might be able to recall something. Three suspects, possibly intoxicated, did malicious damage that included trespassing into the fenced area, trying (unsuccessfully) to disable security cameras, shooting two locks, a motion sensor, and several signs, swimming in Devil’s Hole and shedding a pair of shorts in the water (I’m sure they peed in it too). They also left beer cans and barf, which hopefully will produce DNA evidence. Their actions may have caused the death of one of the Devil’s Hole pupfish, one of the world’s most endangered species. 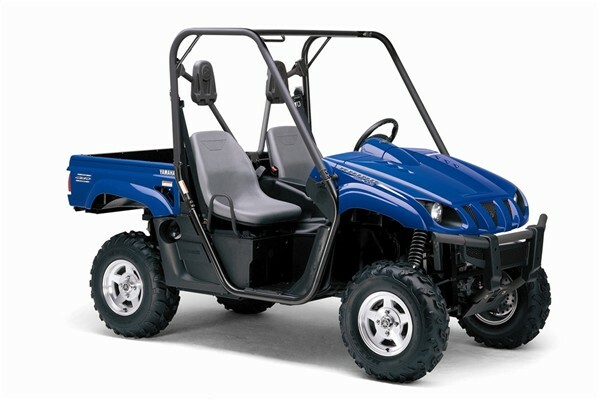 The suspect vehicle seen on surveillance video was described as possibly a Yamaha Rhino, which looks like this. Maybe you’ve seen one like it in the area. It’s an OHV, not something you'd see driving around on regular roads. Federal and county authorities are offering a reward for information leading to arrest and conviction. Las Vegas Review-Journal reported on this too, as have other news outlets. Hopefully word gets around, and NPS gets some leads to finding these idiots.